Rocking Simchas plays a stimulating variety of music for the needs of any event. 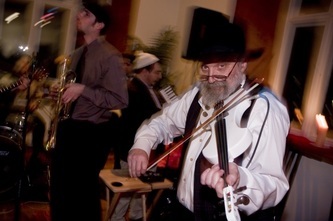 Traditional music, original songs and well-known hits can be found in the band’s extensive repertoire. We give a creative spin with exciting instrumentation including trombone, banjo, mandolin, fiddle, tuba, and guitarists of any style. ​ Whether you want classic rock, reggae, punk, bluegrass, Dixieland jazz, or straight-up simcha music your event finally has options. 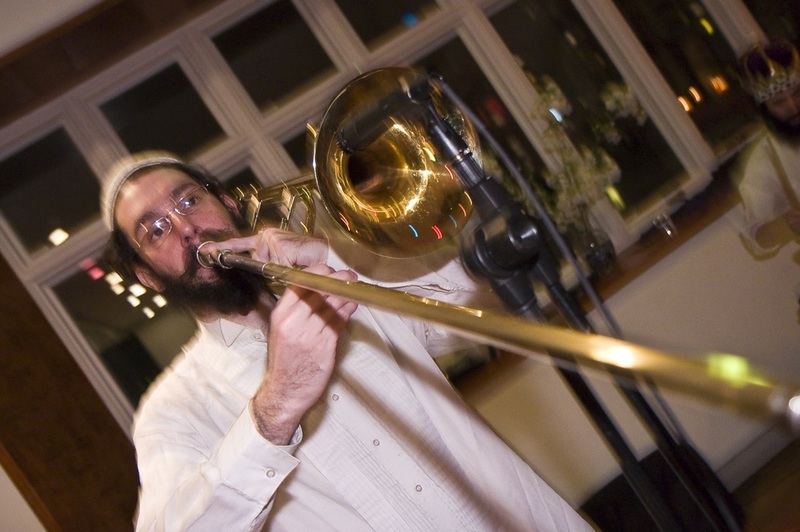 Over 20 years experience playing at events throughout the tri-state area, from the largest weddings, music festivals, journal dinners, bar/bat mitzvahs to the smallest birthday parties. We work with our clients to make their celebration as rocking as possible. 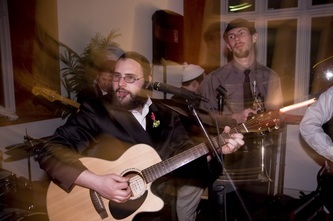 We create a fun, uplifting atmosphere, where children and grown-ups, religious and secular can groove to the music. We are available throughout the New York metropolitan area including all of Long Island, the five boroughs, upstate, New Jersey, and Connecticut. ​We can travel upon special request. Award-winning professional musicians at a reasonable rate.